Are you wondering if you’re using the right email marketing or marketing automation tool? “What’s the best email service provider?” I hear this question all the time. Many people feel that there should be something better or more reasonably priced available than what they’re already using. I’ve used many different email marketing tools over the years, but I recently discovered one that I’m very impressed with. It’s called ConvertKit and here I’m going to share a review of this pretty useful tool. ConvertKit is an email marketing tool built for bloggers, YouTubers, podcasters, and other businesses that are producing content and building audiences online. Their tagline reads “Email marketing for professional bloggers,” but it can be used for any type of organization. If you used an email marketing tool before, you’ll be familiar with most of the ConvertKit features. What may surprise you, and in a good way, is the combination of simplicity and robust functionality that is not easily found in other solutions. 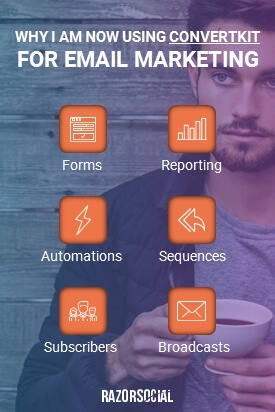 Besides email marketing, it also provides all the marketing automation capabilities you’ll need together with integration with a wide range of platforms. The best way to give you an overview of Convertkit is by describing how we use it internally. We recently did a prelaunch for our email Outreach software – OutreachPlus. First of all, when someone registers for OutreachPlus, we wanted an account to be automatically created in ConvertKit. We enabled this through integration with their API. 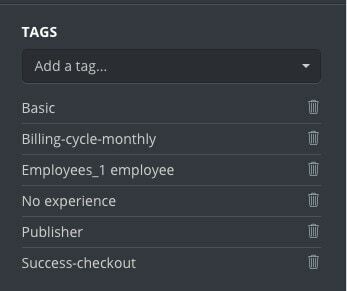 The next thing we wanted to enable is adding tags to the new user so we can properly segment our audience in the future. What’s great about ConvertKit is that there is only ever one record for a subscriber and they can be part of many lists and have many tags. These tags show me the package they signed up for, if they chose annual or monthly billing, the number of employees, and more. I can then send emails based on these tags. For example, I can send an email to everyone that has the ‘Basic’ tag set. In addition to adding customers, we could also automatically add email subscribers. 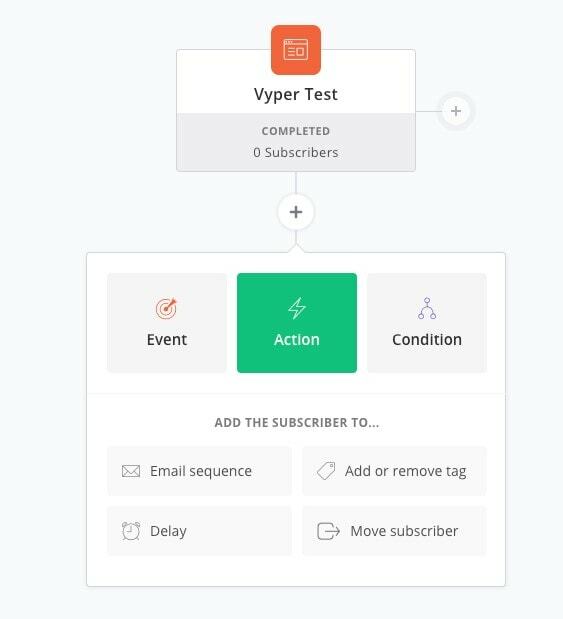 We use Optinmonster for building email subscribers and, since this tool integrates with ConvertKit, it’s easy to set this up. When you add people to your list, you’ll naturally want to send them some emails. The most efficient way to email the right people at the right time is by setting up emails sequences. Sequences are automated series of emails that are sent to a specific segment of your subscribers based on pre-set time intervals (e.g. immediately after opt-in, 7 days after purchase, etc.) or triggered by a specific event (e.g. subscribing to your list, downloading an e-book, purchasing a product). Setting up a sequence is very easy and you’ll have it up and running in minutes. 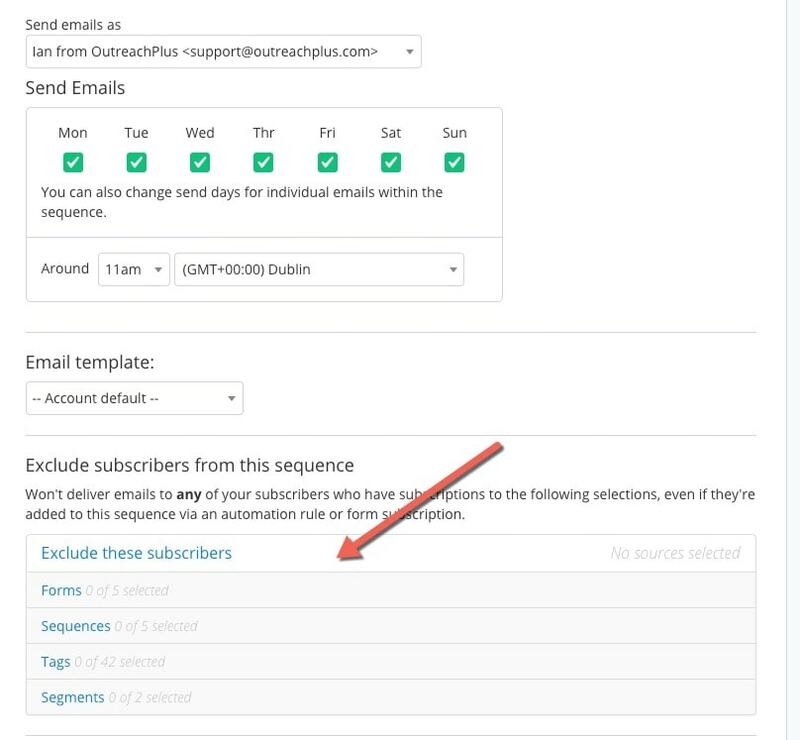 When you set up a sequence, you can tell ConverKit to exclude subscribers you don’t want to receive your emails based on forms, tags, segments or other sequences. After your sequence is live, you’ll be able to see how your emails are performing in terms of open and click rates under the Reports tab. With ConvertKit you have the option to send one off emails to your subscribers. You can do this easily by creating a broadcast email. The first step is to choose which subscribers you want to receive your Broadcast or segment subscribers based on specific filters. Next, you’ll be able to select your email template and write the content of your broadcast. Nothing complicated about it. 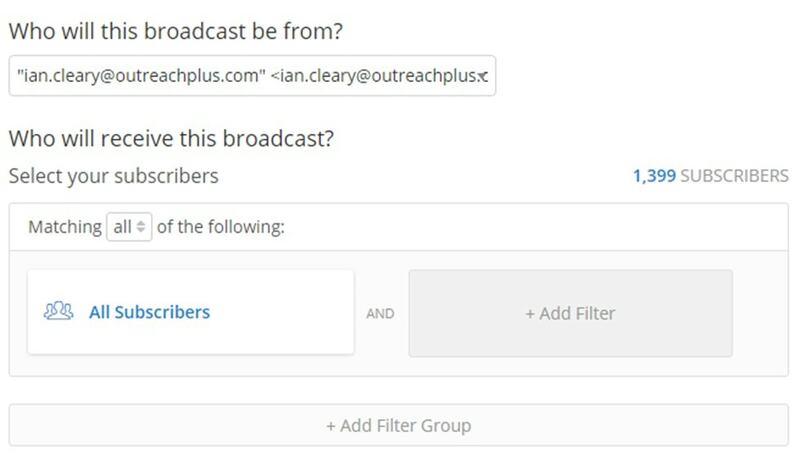 For example, we sent a broadcast with a bonus video to everyone who subscribed to OutreachPlus during our launch campaign. It’s highly likely that a percentage of your subscribers won’t open your broadcast email. ConvertKit has a cool feature that lets you resend your broadcast email to people who didn’t open it the first time. When you send a broadcast, you’ll see the button that says “Resend to Unopens.” Click on this button and you’ll be able to edit your broadcast and send it to all the subscribers who didn’t open your first email. Pretty useful feature for getting the most out of every broadcast you send! The visual automation builder allows you to create rules/automations based on specific events and actions. The automation rules are pretty easy to understand and create. For example, when someone joins your list you can create an automation rule that adds a relevant tag to the new subscriber or ads them to a specific sequence. Among other things, we use this ConvertKit functionality to automatically add all new OutreachPlus customers to the onboarding sequence I mentioned earlier. Or if someone abandons purchase, we can add a ‘bounce’ tag to them and include them in a ‘reengagement’ sequence. This allows us to send out more relevant and timely emails that are perfectly suited for a specific segment of our subscribers. Why not use a tool like InfusionSoft? InfusionSoft has more functionality and integration with other applications, but it’s difficult to use and most people who use InfusionSoft work with a consultant. One of the key selling points of ConverKit is that it has the power of Infusionsoft (not all of it) but the simplicity of Mailchimp. They are not quite there yet but they are close. The pricing is based on the number of subscribers you have, and it starts at $29/month for up to 1000 subscribers. The price goes up to $79 /month for 3-5K subscribers. If your list counts more than 5K subscribers, you can easily calculate a custom price directly from their pricing page. If you have thousands of subscribers, this may seem expensive to you, but only if you don’t consider the return. In fact, according to Capterra, the average return on $1 spent on email marketing is a whopping $44.25! It’s also important to note that all ConvertKit pricing plans include unlimited emails, forms, landing pages, automation rules, and more. It’s not easy to find an email marketing tool that is both simple and robust. Most tools available on the market are “either this or that.” That’s why I was surprised with what ConvertKit has to offer. Whether you’re just starting out and looking to build your email list, or you want more sophisticated capabilities to start segmenting your audience, target them with relevant sequences, and grow your list – this tool can help you achieve your goals. What are your thoughts on ConvertKit? What tool(s) are you using for your email marketing and automation needs?